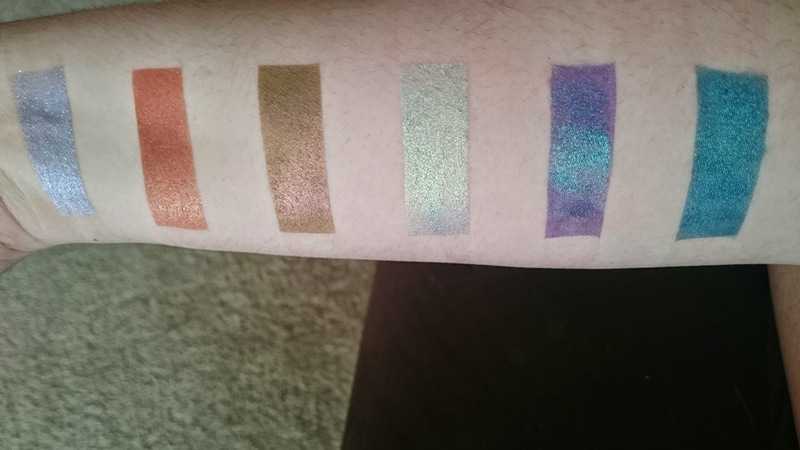 Home Hello Waffle Cosmetics Notoriously Morbid Swatches Swatch Post: My recent favorite shadows! 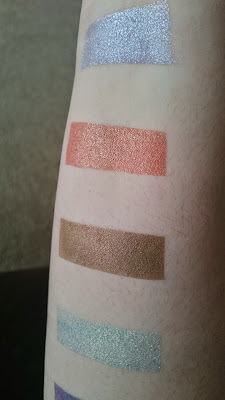 Swatch Post: My recent favorite shadows! Hello! 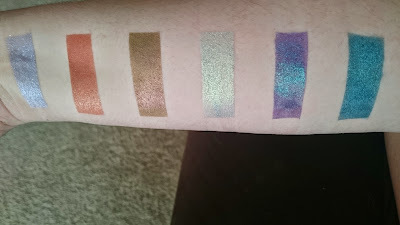 Today I have some swatches of the shadows I have been reaching for constantly. 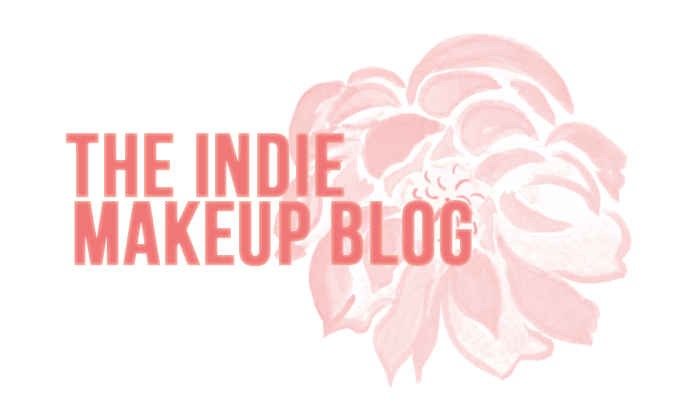 Does anyone else ever get stuck in a makeup rut and find yourself reaching for the same products over and over again? I try to switch up my look frequently and share the love to all the products in my collection but I keep getting drawn to these shades over and over again. This past weekend was my college graduation! My family was sweet enough to pitch in to buy me a quality camera. After researching different models, I've decided to go with the Sony Alpha 6000. I put my order in today and I can't wait to play around with it and finally be able to do FOTD'S, up-close swatches, and maybe even tutorials. 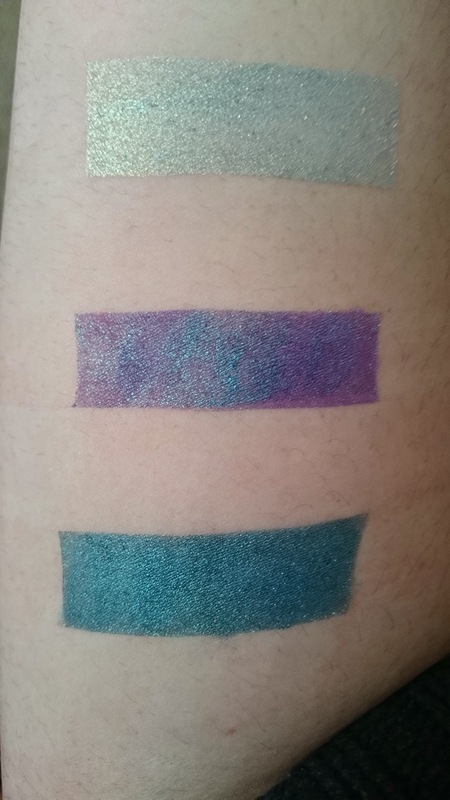 Anywho, all swatches are over Urban Decay Primer Potion and Darling Girl Glitter Glue. From left to right: Hello Waffle Whale Hello There?, Hello Waffle Fauxlivia, Notoriously Morbid Hollowed Ground, Notoriously Morbid Wayward Son, Notoriously Morbid Walking on Sunshine, Notoriously Morbid Mystique. From top to bottom: Hello Waffle Whale Hello There?, Hello Waffle Fauxlivia, Notoriously Morbid Hollowed Ground, Notoriously Morbid Wayward Son. From top to bottom: Notoriously Morbid Hollowed Ground, Notoriously Morbid Wayward Son, Notoriously Morbid Walking on Sunshine, Notoriously Morbid Mystique. HW Whale Hello There? 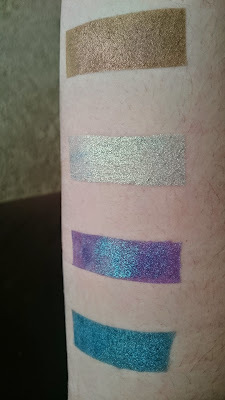 is a light lavender with strong silver shimmer. It can look more silver or purple depending on the lighting. This color is a really nice one because it lends itself to a lot of different looks. I paired this with Hello Waffle's Chopin and it was so pretty. 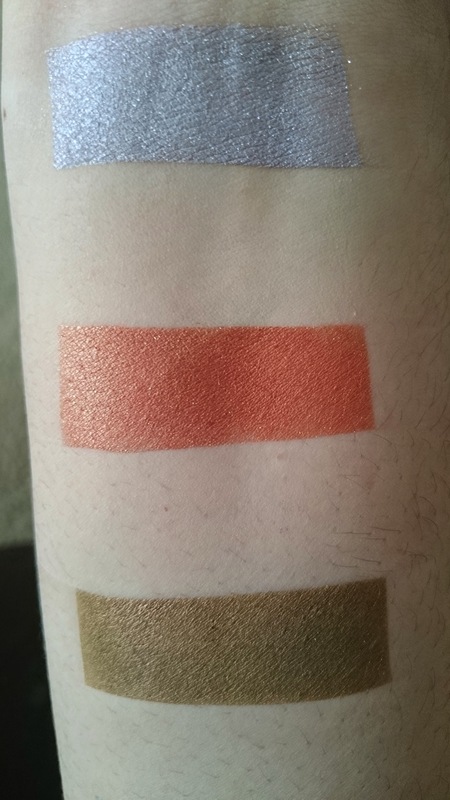 HW Fauxlivia is a burnt orange with gold shimmer. I sometimes have a hard time using very warm shadows but this shade makes me say IDGAF. I love using this in the crease and it works perfectly for any fall-inspired looks. NM Hallowed Ground is a mustard brown with a pink shift. Unfortunately, this shade is no longer available but NM seems to release it every Halloween for a limited time. This shadow is extremely unique, I don't think I have anything like it in either my indie or mainstream collection. This is a really nice go-to crease shade, and lends itself to quick neutral eyes, golds, or olive greens. NM Wayward Son is a light icy blue with a strong white gold shift. It reminds me of a icier version of Shiro's Glowstick of Destiny. This shadow is so gorgeous. The shift is pretty strong even without a sticky base and it makes a perfect inner corner shade. It can almost look like a really light sage color sometimes. NM Walking on Sunshine is a medium blue-based purple with a teal shift. These kind of shades, along with purples with gold shifts and neutrals with a twist are my weakness. Can I just say how cool Notoriously Morbid's collections are? Both this shadow and Wayward Son are inspired by the TV show Supernatural. I bet Walking on Sunshine makes a killer liner too. NM Mystique is a densely pigmented dark teal with gold shimmer. I like to pair this shade with Wayward Son for a pretty teal look. Sometimes I'll use this to smudge out the lower lash line to create a pop of color on an otherwise neutral eye.